Collect data and organize into custom schemas when out in the field. Export and share data to your teams to provide the most up-to-date sources. Real estate companies know that location is the most important aspect of their industry. However, it also takes a lot of information combined with spatial data to understand how it all comes together. The Avenza Maps platform combines cost-effective mapping technology and location awareness. It enables you to align your mapping and field data collection needs with your existing enterprise business needs. 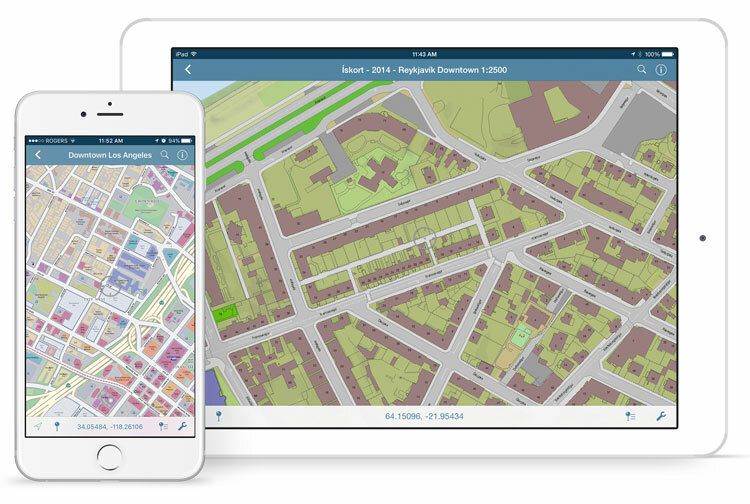 The flexibility of our mobile app allows you to import custom maps created by your team. Multiple maps of an area can be grouped as a collection for seamless browsing. When away from network coverage, maps can be used completely offline, only relying on GPS to precisely locate yourself and to collect points of data in the field. Create custom field collection schemas to take inventory of potential housing locations, new developments, and other important points of interest. The app allows you to export data and upload it to your own network or a cloud storage solution. In the office or on the road with a potential buyer, productivity remains a high priority. The Avenza Maps platform provides your team with a more organized and managed way to use maps and have data immediately available to enable smart decision making. Decrease the need for paper maps. Share existing digital maps with your team and reduce redundancy. Spend less time collecting data. Incorporate high-accuracy data collection into your field operations. Make informed decisions by having access to timely information which translates into time and cost savings.